On Friday I was with two of my collegues from Ceva de Spus on a walk. We tried the new accessible trams. 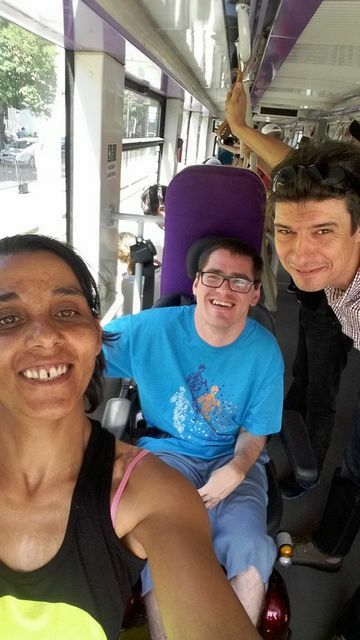 We wanted to see if wheelchair users can travel by tram. We started our journey from the post office and we wanted to arrive to the cathedral. Once we got to the station, we called the telephone line for people with disabilities. A nice lady answered the phone. She asked the driver from the first tram to help us get in. But the driver didn’t know how the ramp is working. The second driver failed to use the ramp so we couldn’t use the following tram. The third tram came but the driver didn’t have the remote control. The forth tram was a success as the driver managed to lower the ramp. I was very happy I could get in. 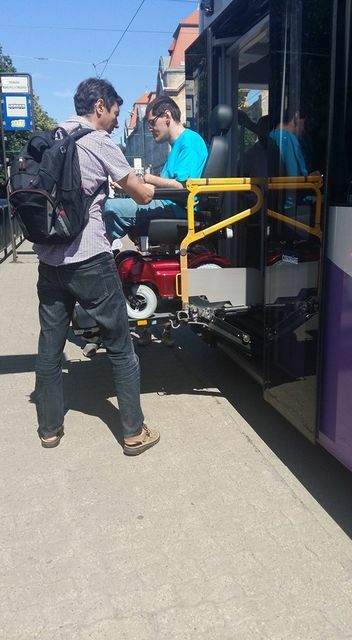 I can say that all wheelchair users have the opportunity to travel by tram. All you need to do is to call the telephone line and ask for help. I hope the drivers will be all trained on how to use the ramp. 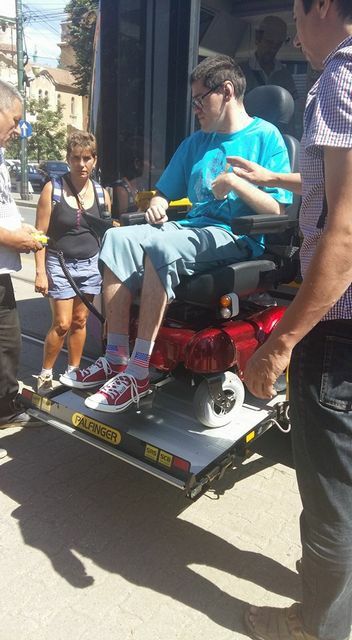 I hope more wheelschair users travel by tram as they are accessible for all. On Friday, me and two collegues from Ceva de Spus, went on a walk. 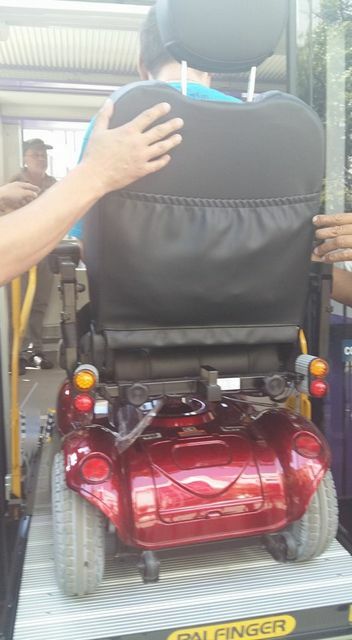 We decided to take the new accessible trams to see how they work for wheelchair users. We wanted to travel from the main post office to the cathedral. 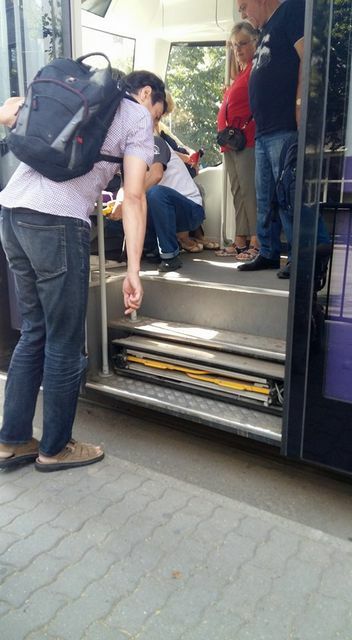 The operator was very kind and announced the driver from the first tram that we need help to get in. 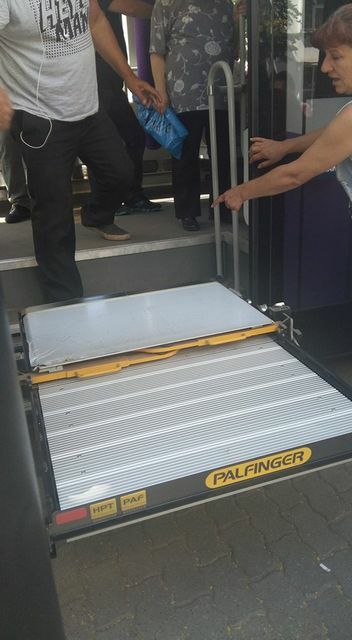 As the tram arrived in the station, the driver got off, opened the box and took out the remote control. Unfortunately, the activation light was not functioning indicating that the elevator is not working. 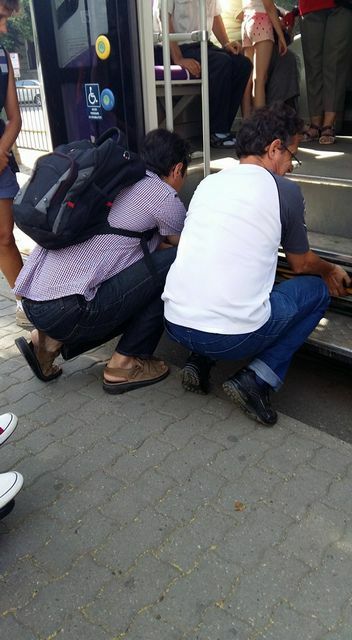 We didn’t give up, we called the operator once again telling him that we couldn’t get in.The operator announced the next driver but he told us: I can’t help you, I don’t have the key! The following driver failed to find the way the remote control is activated so we decided to try the forth tram. We called the operator and asked for another tram. After a couple of minutes, 3 different trams came, two old ones and one new accessible tram. The drivers worked together and one of them remembered that you need to push the doors harder to activate the remote control. This allowed us to use the ramp and get in the tram. Although it was very difficult, the drivers were very kind. At first, I was sad I couldn’t get into the tram but in the end it was worth the effort. I managed to have a ride after a long time. As a conclusion, we can use the new trams, we can use them as any other citizen. 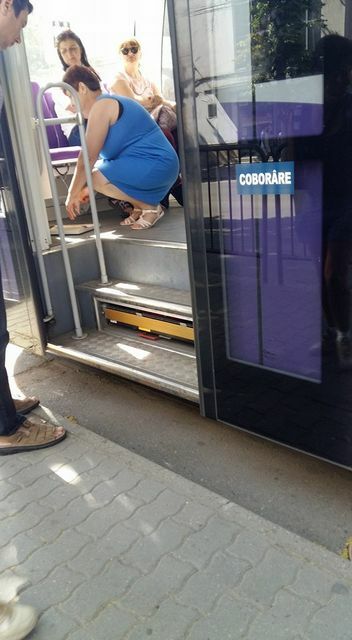 I advise wheelchair users to get out more often and use the trams so that drivers don’t forget how to use the elevator. I hope all wheelchair users will fiind it easy to got o school, to work or shopping once these accessible trams are available in our city.